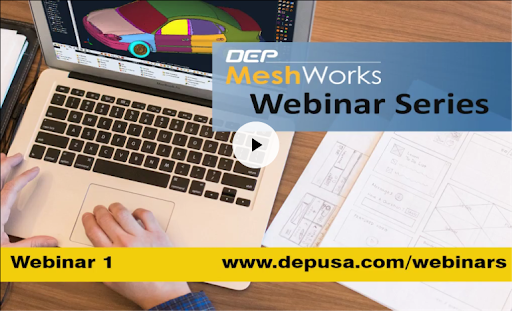 MeshWorks webinars is a monthly, live online training where MeshWorks experts from DEP and the industry introduce you to one new topic each month that covers concepts, demonstrations and examples in a way that you can relate and apply to your applications. CAE data morphing has been transformational for the early stage vehicle development activities. This resulted in providing vital early stage inputs to the design team before they could start their activities. This way it was saving time and program costs. Early Stage CAD data morphing is also giving designers, quick ways to carry out packaging studies and also collaborate with critical vendors / suppliers effectively. MeshWorks as CAE Platform has in its DNA the thought process of transforming product development process, thus the leadership in CAE and CAD data morphing. This is great value for engineers during the early stage of product development as it aids front loading of the program and enables optimization upfront. Now CAE morphing is almost integral part of the virtual validation process in several organizations. This webinar focuses on class leading custom tool sets in MeshWorks that enable CAE data morphing at complete system level and sub system level. CAE data morphing considers existing CAE data as start point. ConceptWorks tools in MeshWorks are special set of tools that help convert input from topology into valid structural load path and thus help save time drastically for engineers. 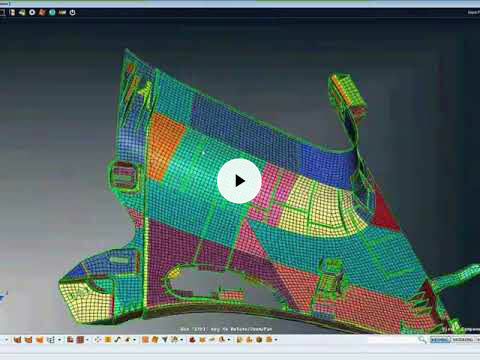 CAD morphing tools on the other hand when used ahead of program cycle helps designer with morphed CAD data that would help for packaging studies, manufacturing considerations and provide heads up to partners/ suppliers/ vendors. These tool sets are critical inputs for engineers looking to transform product development process. Latest Approach in CAE Morphing – – Learn through live demonstrations about how to morph existing vehicle to suit the new styling theme besides mapping to target body sections. Upfront runnable CAE data after morphing for performance validation. ConceptWorks – Load paths from Topology Results – Learn through live demonstration about how to use ConceptWorks to arrive at manufacture-ready load path based on topology results. Utility of CAD Morphing for Early stage development – Learn through live demonstration how to use CAD morphing technique for early stage development. The Morphed CAD is good value for designers to study the packaging, ergonomics and manufacturing aspects. How does MeshWorks 8 differ from the current tools available? This webinar will be extremely useful to those working with structures in automotive, aerospace, heavy engineering and construction domains. The event is free, but registration is mandatory. Note: There are no other upcoming webinars. Please click here to view our on-demand webinars.